As your Mississauga dentist, we provide full comprehensive care which may require treating a tooth or multiple teeth with artificial crown(s). Dental crowns can restore both the function and beauty of damaged teeth. A crown, also called a cap, is a hollow, artificial tooth used to cover a damaged or decayed tooth. At Credit River Dental Centre, we provide custom-fit porcelain crowns in as little as two short appointments. We work closely with our lab technicians to ensure that when crowns are required for cosmetic purposes, we select the color and shape that which will not only enhance your smile but also provide you with the most balanced bite possible. A crown will improve the appearance of your damaged tooth but more importantly, a crown will restore the natural function of your tooth. Your crown will allow you to bite down, chew, and speak naturally. In some cases teeth require a large filling, but there isn’t enough tooth remaining to keep the filling in place. A crown can strengthen the tooth and hold the filling protecting the tooth from further damage. 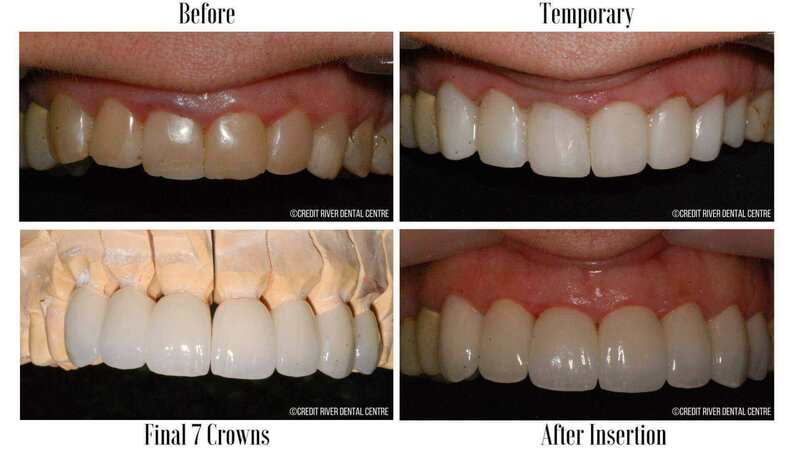 Not only are crowns required to provide strength and durability to a tooth but functionally mimic the lost tooth structure of the affected tooth as well as providing the appearance of the natural tooth that it’s replacing. One question that we hear often is whether or not a root canal is required prior to having a crown placed on a tooth. In most cases a root canal is not required prior to placing a crown on a tooth and in fact there are many instances where the placing of a crown will actually prevent the need for a future root canal such as in the case of a tooth that has a slight crack possibly from tooth grinding. It is important to note that there needs to be enough solid tooth structure for the crown to rest on in order for the crown to stay in place. There are instances where if there is insufficient tooth structure, Dr. Lee can build up the tooth so that a crown is still a restorative option. From time to time however there is the unfortunate instance where after placing a crown the tooth still requires a root canal usually if the remaining tooth close to the nerve was weak or somehow bacteria had found its way into the nerve chamber. 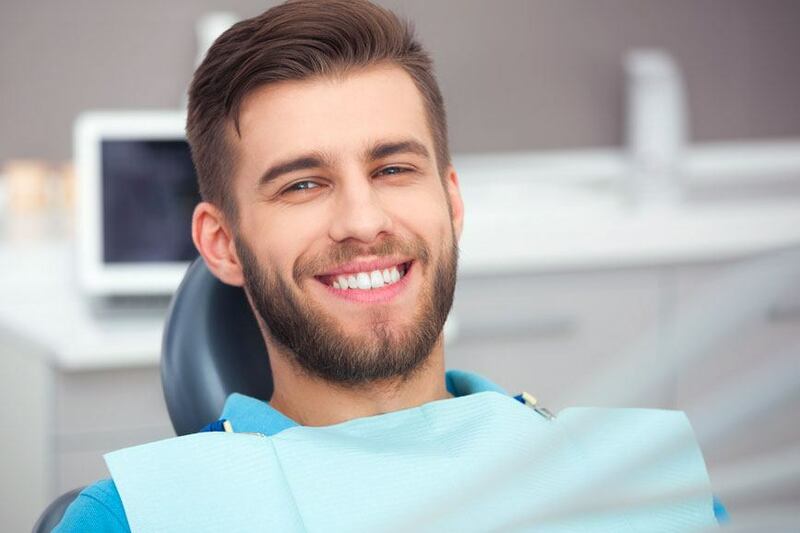 Crowns are made from various types of materials and depending on which tooth needs a crown, Dr. Lee will suggest a material, or combination of materials, that is right for you. Crowns play an important role in dental health and in sustaining proper function and if you are in need of one, please contact our office today at (905) 278-4297.